NOTE : This Zip Line is closed and not available as of now. Points : Starting From Alexander point and ends at Rambaug Point of Matheran Hills. Organized by : Saaksh Adventures. Safety Equipments : Seats and Harness, Trolleys and Kits, Double safety belts etc. So if you are excited about this adventure, here is how we did it and is our valley experience between those two points where zip line is tied. First of all as the owner Mr. Suresh Geedh of this adventure sport at Matheran explained us some of the technical about the safety and equipment which are used is matching with those international standards. You are asked to fill and sign a form that details the risk factor and terms before going on for live zip line. Then you are allowed to wear those Harnesses and get yourself comfortable with some trial sessions on a 5 to 7 feet long rope which is just 1 to 2 meters high from ground. 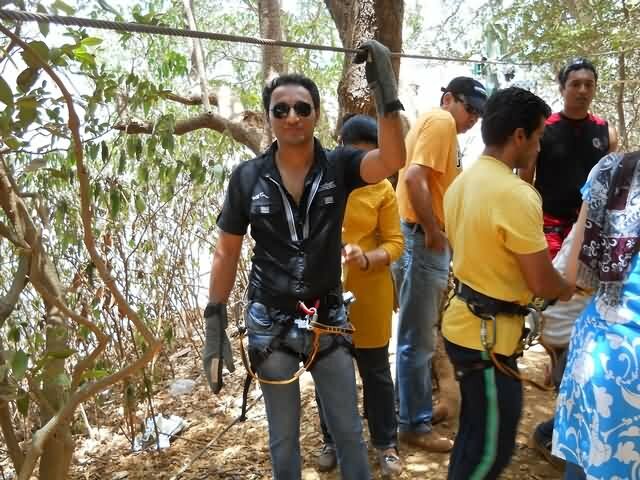 The Instructor team explains on how to position yourself on zip line, how and where to hold your hands and what to do when you are stuck in between on rope and was not able to land at Rambaug point. Another instructor and crew member goes first to other end and is prepared to help you land from zip line. In case you are not able to automatically reach the destination point, the crew member comes to your help, ties you and drags you till end. You are also taught on how to drag yourself till end. 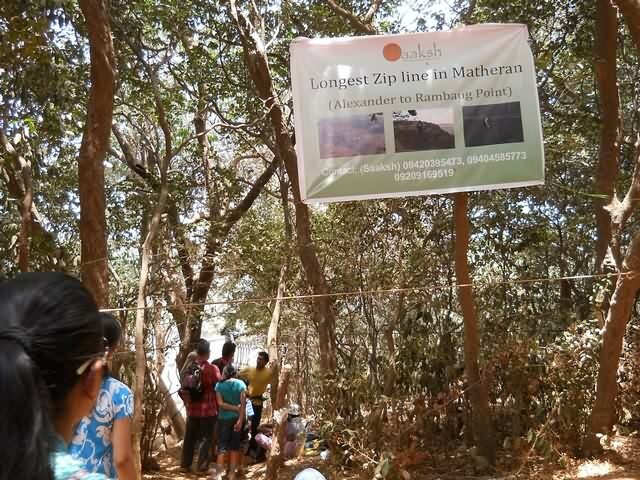 See more on distance between Mumbai and Matheran Hills and more about Matheran.